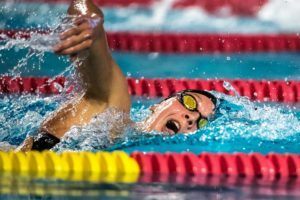 Shortly after the Olympic Trials in Omaha, Megan started having pain in her shoulders, and after this went on for a couple months, she saw a doctor. The diagnosis? A torn labrum. 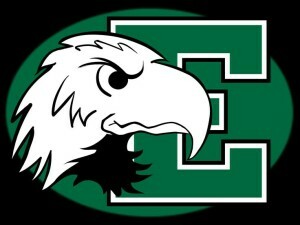 Delaney Duncan of Eastern Michigan University made history Friday morning when she swam a 58.36 in prelims of the 100 breast, good for 2nd seed in finals and giving Eastern Michigan its first female swimming A-Finalist at the NCAA Championships. We’re on to the finals prelims session on day 4 of the 2018 Women’s NCAA Championships in Columbus, Ohio. 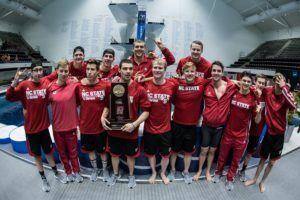 Swimmers will compete individually in the 200 back, 100 free, 200 breast, and 200 fly this morning, with the 400 free relay coming at the end of the session. The 1650 free will also take place today. The fastest heat will swim with finals, while the rest of the heats will swim later this afternoon. Stanford’s Ella Eastin is looking for a perfect 3-for-3 in both NCAA titles and American Records here. 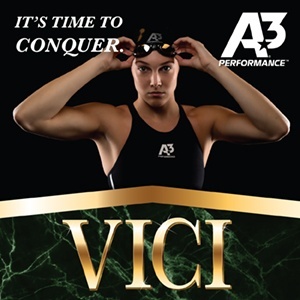 She’ll be swimming in the 200 fly towards the end of the session. After her dominant IM performances, Eastin looks like she has a pretty high ceiling here. We could see a sub-1:49 100 fly tonight. She’s already set the American Record this season with a 1:49.51 at Pac-12s. This morning’s 100 free will set up a showdown between Stanford’s reigning champ Simone Manuel and Louisville’s Mallory Comerford. Indiana’s American Record holder and reigning champ Lilly King will take on the 200 breast. Cal’s Kathleen Baker, the 2017 champion, will swim the 200 back. 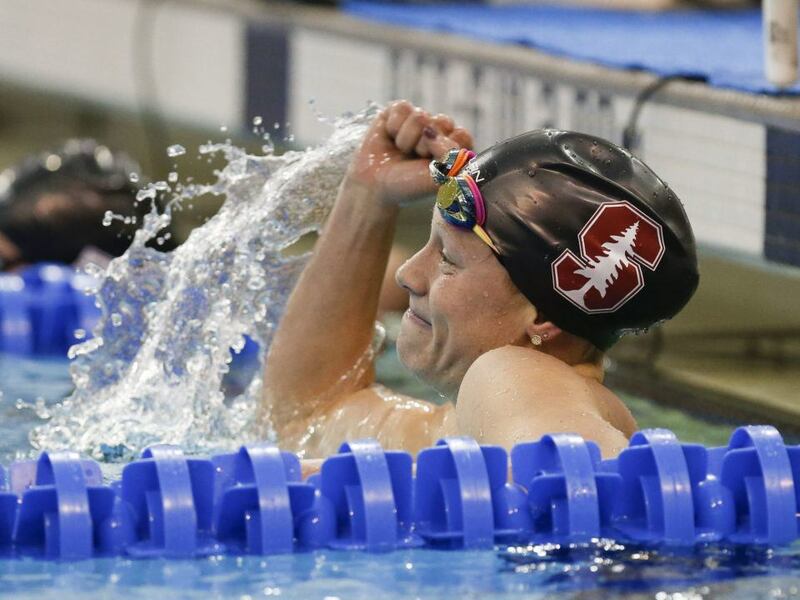 That event will also feature Wisconsin’s Beata Nelson, Stanford’s 100 back champ Ally Howe, and Stanford’s Janet Hu. Wisconsin’s Beata Nelson took control of heat 5 quickly, leading by a body length going into the last 50 yards. Nelson seemed to take it pretty smoothly down the final stretch, but still reached in for a lifetime best 1:49.33. She’s now the 6th fastest performer in history and looks like she has more in the tank for tonight. Stanford’s Janet Hu was out in 53.01, under American Record pace, in heat 6. Hu shut it down on the back half, reaching in at 1:50.13 to hold off Michigan’s Clara Smiddy (1:50.82). Defending NCAA champ Kathleen Baker of Cal set the pace in the final heat, flipping well under record pace in 52.88. Kentucky’s Asia Seidt and Ali Galyer started to close in on her through the 150. At the finish, Baker clipped Seidt 1:49.57 to 1:49.64. That was just .01 shy of Seidt’s best. Galyer was closely behind in 1:50.16 as she dropped a few tenths. NC State’s Elise Haan dropped a second from her lifetime best in 1:51.48 this morning. She came up just shy of the final at 9th, however, as Georgia’s Kylie Stewart and Texas A&M’s Lisa Bratton nabbed the 7th and 8th spots. Texas’ Quinn Carrozza broke 1:53 for the first time to win heat 4, touching in 1:52.70 as she held off Arizona’s Cameron McHugh (1:53.33). Auburn’s Aly Tetzloff edged Stanford’s Simone Manuel for the early lead in the final heat, but Manuel battled back to take the win by less than a tenth in 47.08. Tetzloff’s 47.17 for 2nd was a best by a couple of tenths. 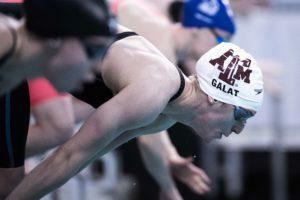 Texas A&M’s Béryl Gastaldello had the fastest back half to take 3rd in 47.36. Michigan’s Siobhan Haughey flipped in 22.69 to take the lead up front in heat 7, but Louisville’s Mallory Comerford took over on the back half to win in 46.88. Haughey was 2nd in 47.28, followed by Georgia’s Veronica Burchill (47.85). Cal’s Abbey Weitzeil flipped ahead in heat 8, holding off Tennessee’s Erika Brown by a hundredths at the finish, 47.28 to 47.29. Cal’s Amy Bilquist was 3rd there in 47.45. That took a tenth off Bilquist’s best. Stanford’s Lauren Pitzer topped heat 5 in 48.20, dropping 4 tenths from her best. She led the way into the circle seeded heats. The Aggies will have 4 women in tonight’s final. Texas A&M’s Sydney Pickrem and Bethany Galat qualified out of the final heat, running down Minnesota’s Lindsey Kozelsky as all 3 landed top 8 spots. Another Aggie, Esther Gonzalez, took 4th in that heat and snuck into the final at 8th. Teammate Anna Belousova used her back-half speed to out-touch USC’s Maggie Aroesty and Arizona State’s Silja Kansakoski in heat 5. Indiana’s reigning champ Lilly King led from start to finish in heat 6, turning in 59.76 halfway. King won by a body length in 2:05.49. She looked like she had shut it down a bit by the 3rd 50, but still led prelims by over a second. Former teammate Miranda Tucker, now of Michigan, came in behind her at 2:07.85. South Carolina’s Emma Barksdale shaved over half a second from her best to dominate heat 1 in 2:10.16. Teammate Albury Higgs won heat 4 in a lifetime best 2:08.90, leading as we head into circle seeded heats. Eastern Michigan’s Delaney Duncan, a 100 breast finalist, was body lengths ahead in heat 2 with a 2:08.91. That was a best time by over 2 seconds. Cal’s Ali Harrison clipped her best time to win heat 3 in 2:10.21. Georgia’s Megan Kingsley had the lead up front in the final heat, turning in 53.88, but Stanford’s reigning champ Ella Eastin was just hundredths back. Eastin had taken over by half a second at the 150, holding steady into the finish for a 1:51.76. Kingsley was 2nd in 1:53.14, holding off a late charge from Louisville’s Grace Oglesby (1:53.16). Michigan’s Vanessa Krause clipped her best to grab a finals spot as she took 4th in that heat. Stanford’s Katie Drabot rolled to a 1:52.33 to win heat 4, while Cal’s Katie McLaughlin (1:53.16) took 2nd from lane 1. USC’s Maddie Wright was just a hundredth back in 1:53.17. In heat 5, USC’s Louise Hansson was well under record pace with a 52.95 halfway. Virginia’s Jenn Marrkand started to close the gap on the 3rd 50, but ran out of room as Hansson touched in 1:53.28 to Marrkand’s 1:53.64. Despite finishing 2nd in her heat, Marrkand just missed the final at 9th. 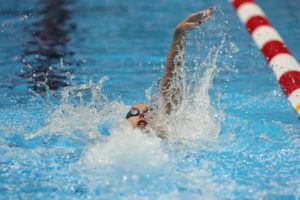 Marie Chamberlain of Indiana was granted a reswim after a 1:56.85 for 45th in her initial swim. In her 2nd swim of the morning, Chamberlain moved up to 44th. She was slightly faster this time around in 1:56.29. This is the 2nd re-swim we’ve seen at this meet. Yesterday, Virginia Tech was granted a re-swim in the 200 medley relay after the meet referee determined that their leadoff swimmer was not given the same opportunity as other athletes due to a disturbance from an official. Stanford and Cal were narrowly separated this morning as they won their respective heats. 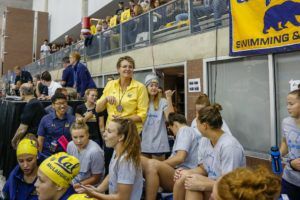 Simone Manuel‘s 47.14 anchor was the fastest split for the Cardinal, while Abbey Weitzeil was the top swimmer for Cal in 47.25 on the 2nd leg. Louisville’s Mallory Comerford had the fastest split of the morning with a 46.58 on the 2nd leg. The fastest leadoff split came from Texas A&M’s Béryl Gastaldello in 47.46. Wish we could have seen what Eastin was capable of at Worlds. She’ll get another chance though. STOP THE CLOSEUPS! The Close-Up is totally idiotic. Who can we see about this? How could you down vote a complaint about that? 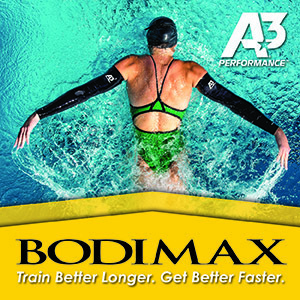 Every swimmer is elite, and somebody is watching that swimmer. Plus, there is no way to tell how wonderful the lead swimmer is without reference to the other swimmers. 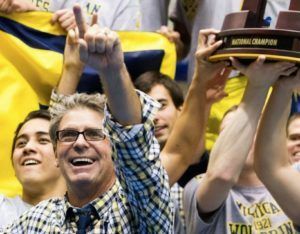 It is the height of self-centered for the producer/camera guy to decide for me what swimmer I want to watch. I thought I was alone on this. I’m glad I’m not.